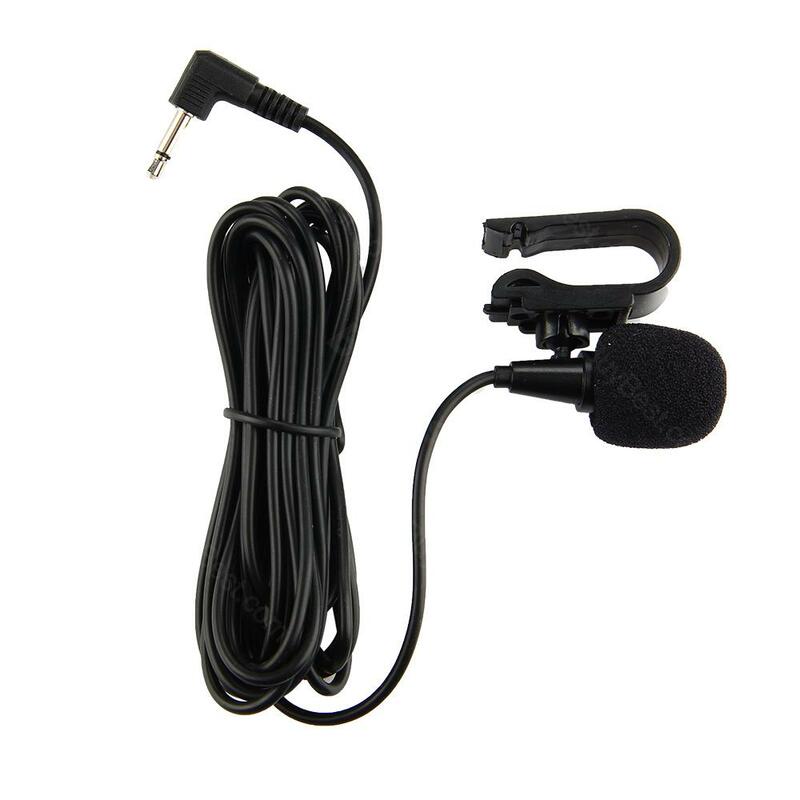 The 3.5mm Car External Microphone comes with about 3 meters USB cable for long distance transmission. The 3.5mm Car External Microphone comes with about 3 meters usb cable for long distances transmission. Very convenient to use and carry for your car. • Quick link: Head-mounted Microphone. For a non-audiophile this set up my AVH 4200NEX perfectly and the before and after difference was well worth the cost. I made no adjustments after and the higher I crank it the better it sounds. I used this as a replacement mic for my head unit in the car, accidently bought it 2.5mm instead of 3.5mm but worked great with an adapter. Sounds just as good as any other mic, but I was using this in my Polaris Slingshot and the other end was still able to hear me while driving, not perfectly but I was surprised that they could catch what I was saying at all. I would definitely buy this again. I mounted it next to the steering wheel and it works great!!!! Fantastic mic, using with a kenwood ddx and getting excellent clarity on calls, people cant even tell that i'm using a handsfree system!